Red cabbage is a vegetable packed with goodness. Though its taste may not appeal to everyone, it is a wonder vegetable that can benefit your body, mind and heart. Take a look at how this gem of a vegetable can promote physical well-being. 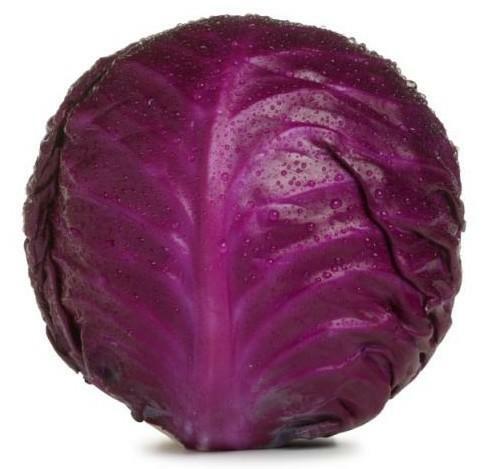 1.Low in fat: Red cabbage is low in calories, and is a rich source of vitamins and minerals. 2. Anti-aging effects: Red cabbage is a wonderful source of Vitamin C, which helps in anti-oxidation and is therefore involved in maintaining beautiful skin and delaying aging naturally. The outer leaves are rich in Vitamin E, which aids in producing a glowing complexion. 3. Good for the Eyes and Skin: Red cabbage is a rich source of vitamin A, which is involved in maintaining clear eye sight. Vitamin A also acts as a natural moisturizer, keeping your skin smooth and supple. 4. Boosts Immunity: Red cabbage is an abundant source of Vitamin E, and thus helps in immunity building, DNA repair, and other metabolic processes. Red Cabbage boosts the immune system’s ability to produce more antibodies. 5. Cleanses the body: Red cabbage contains large quantities of sulfur, and other minerals that work as cleansing agents for the digestive system. Raw red cabbage (incorporated into your diet in salads) cleans the bowels, thus preventing indigestion and constipation 6. Anti-cancer properties: Researchers have recently identified 36 different varieties of anti- cancer chemicals in red cabbage. This beneficial property is due to the high content of anthocyanins, a class of flavonoids that has been linked to cancer protection. Some varieties of anthocyanins have double the antioxidant effect of vitamin C. Red cabbage is also a good source of indoles, compounds that may reduce the risk of breast cancer by altering estrogen metabolism. 7. Prevents Osteoporosis: Like many other vegetables, red cabbage is a good source of calcium. Calcium is an essential mineral for people of every age, as it aids in the strengthening of bones and teeth. Proper intake of calcium-rich foods at a young age is important to help overcome osteoporosis during old age. 8. Reduces Alzheimer’s risk: The building up of certain plaques in the brain is found to be the main cause of Alzheimer’s disease. In a study conducted by researchers, the consumption of red cabbage in test individuals noticeably reduced the formation of these plaques. Red cabbage, unlike white or green varieties, has a higher concentration of natural anthocyanins that helps protect against this form of dementia. 9. Treating Ulcers: Red cabbage is believed to have therapeutic value in the treatment of ulcers. The juice of red cabbage has been used in the treatment of ulcers for many years. A high concentration of the amino acid called glutamine is responsible for this healing property. ‘Eat your greens’ is what we say to kids, meaning eat your green vegetables. Maybe it is time we modify this saying to ‘Eat your greens AND reds”, for red vegetables also have abundant goodness in them.